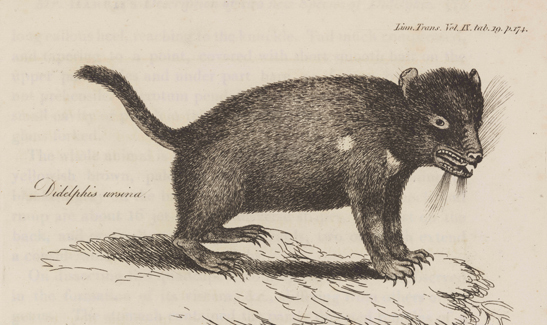 The Remarkable Tasmanian Devil explores a range of perspectives on the devil, from little-known historical tales to stories from pioneering scientific researchers. Visitors will be able to learn more about devil behaviour and explore cutting-edge science through a range of interactive experiences, including a simulation of what it’s like to be a young naturalist on the trail of the devil in a special in-gallery night-time experience, created with younger patrons in mind. The Remarkable Tasmanian Devil is all about the devil you know, but more importantly, the devil you don’t. The Tasmanian devil is known to Aborigines as purinina. 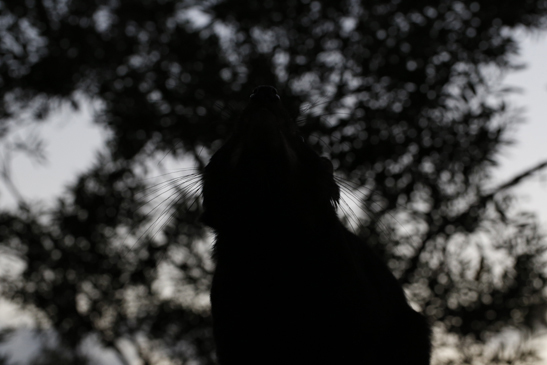 The word purinina has no connection to the concept of the devil, which was named by Europeans after hearing their “devilish” screams and growls. Hobart Town surveyor George Prideaux Harris first described the devil for science in 1805, naming it Didelphis ursinus, meaning ‘a bear-like pouched animal’. However, scientists later realised that it was a quite different animal and changed its name to Sarcophilus, meaning ‘flesh eater’. Today, the scientific name for the Tasmanian devil is Sarcophilus harrisii, meaning ‘flesh eater described by Harris’. An average adult Tasmanian devil weighs between 6 kg and 11 kg. The devil is the largest native marsupial carnivore to survive in Australia since the extinction of the thylacine in 1936. Tasmanian devils eat any flesh – alive or dead. They can consume an entire animal, leaving only the largest bones. The devil’s diet is very varied, consisting of wallabies, small mammals and birds, reptiles (including snakes) and amphibians and insects such as moths and yabbies.Devil Facial Tumour Disease (DTFD) first came to light in 1996, when wildlife photographer Cristo Baars photographed a wild devil with unusual and severe facial growths at wukalina (Mt William) in north east Tasmania. Although devils have a reputation for being dirty and stinking, they are actually careful groomers and they love water to wade in and to drink. Tasmanian devils can eat up to 40 per cent of their own body weight in one meal. Afterwards they sleep for two to three days before moving on to find another meal. 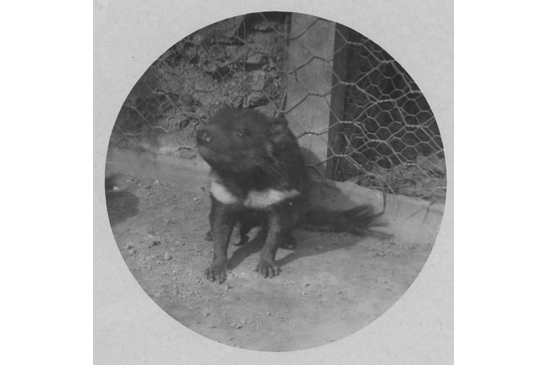 In 1914, Tasmania’s 12th Battalion adopted a Tasmanian devil and took him to WWI as their mascot. Bluey the devil travelled with the battalion to Egypt where he lived at the Mena army training camp near the great pyramid. The Cairo Zoological Gardens heard about Bluey’s life in the camp and offered to purchase him for display at the zoo – but he was so popular with the men that the offer was declined. In 1939, three devils were captured in the Tasmanian bush and sent to Hollywood. This was at the request of the Warner Bros. film studio and film starlets Rosemary, Priscilla and Lola Lane, who presented the devils to Los Angeles Zoo. Firefly beetles are helping save the Tasmanian devil. The enzyme they produce, called luciferase, helps scientists see glowing tumour cells in the lab, and test the effectiveness of possible treatments. Interestingly, the word luciferase comes from the Latin term lucifer, which means ‘devil’. (top) Description of two new species of Didelphis from Van Diemen’s land by G P Harris (detail). Published in the Transactions of the Linnean Society of London vol. 9 (1808). Courtesy Mitchell Library, State Library of NSW. (bottom) A Tasmanian devil at Bonorong Wildlife Sanctuary, near Hobart, 2017. This page was last modified on 7th December 2017.